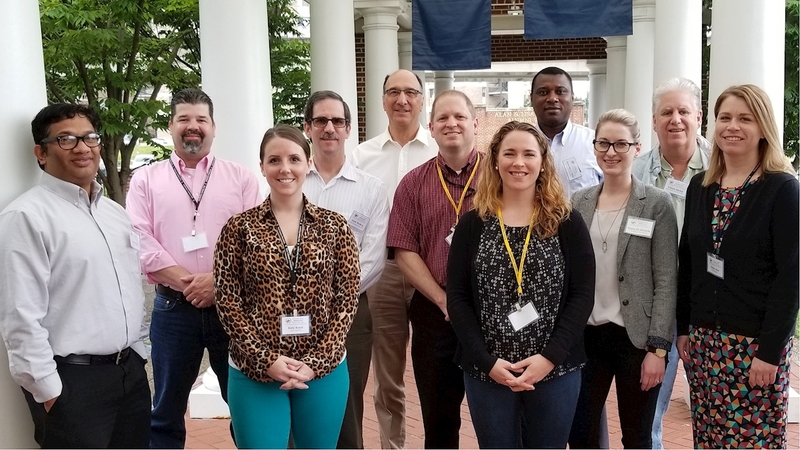 The 32nd Annual Meeting of the Allegheny-Erie Society of Toxicology (A-ESOT) Regional Chapter was held recently in Morgantown, WV at the Erickson Alumni Center. The annual meeting has a primary focus on toxicology in human endeavors, by identifying ways and parameters of toxicology exposures and recognizing safe limits that are compatible with human health. The meeting included three symposiums with oral presentations from students, researchers, and keynote speakers for each session, a poster session with over forty posters, and multiple industry and academic sponsors actively engaging the research community. Dr. Timothy Nurkiewicz, professor and associate chair for research in the Department of Physiology and Pharmacology, works closely with the chapter and proudly noted extensive growth of engagement and participation. He noted that five years ago, the meeting included about thirty attendees, no sponsors and one oral presentations. The A-ESOT Leadership committee, led by Dr. Todd Stueckle (Assistant Coordinator for Cancer, Reproductive, and Cardiovascular Cross Sector, National Institute for Occupational Safety and Health(NIOSH)) and Dr. Aaron Barchowsky (professor, Environmental and Occupational Health, University of Pittsburgh), welcomed the largest meeting to date with over one hundred attendees. Sponsorship and organization was led by the Toxicology Working Group which includes faculty from both WVU and NIOSH. The regional chapter has received recognition for excellence by the Society of Toxicology.